A columnist of the Manila Bulletin, Rigoberto Tiglao lightens up the truth behind the vote on now-former Chief Justice Maria Lourdes Sereno’s ousting. Apparently even the most senior justice, Antonio Carpio voted for her ousting leaving the former Chief Justice with only two of the 14 justices voted on her side in this matter. The former Chief Justice though claimed that five of the original eight members that voted for her ousting shouldn’t have participated in voting. But with the incoming of the most senior justice as an addition to the original eight, the majority still leaves things unchanged. Yet focusing on what the eight justices concluded, Sereno’s integrity was on the line as she was unable to file 11 years of her Statement of Assets, Liabilities and Net Worth and yes, the Supreme Court has full jurisdiction to act on this quo warranto. One of the Associate Justices, Noel Tijam even wrote a 155-paged decision on why the quo warranto on Sereno should be permitted. The former Solicitor General, Francis Jardeleza was also on the side of ousting the said now-former Chief Justice, despite the fact that he was also appointed back in 2014, by former President Benigno Simeon “Noynoy” Aquino III. Carpio made a dissenting 26-page opinion on Sereno’s counters to the quo warranto and her qualifications as the top judiciary officer. He even believes that the Chief Justice should be charged criminally for that lack thereof SALNs for 11 years which is truly alarming. These 11 SALN-less years of Sereno was specifically the years of 1986, 1987, 1988, 1992, 1999, 2000, 2001, 2003, 2004, 2005, and 2006. This is what made the most senior justice side with the 7 other justices and former Solicitor General to vote for the ousting of Sereno. But even if Sereno was in their eyes guilty, Carpio still suggests that the now-former Chief Justice must’ve gone through a House of Representatives endorsed and Senate-headed impeachment trial. But funny enough, Tiglao doubts Carpio’s intentions on stating that Sereno’s ousting must be through impeachment since the senior justice is now most qualified to sit as Chief Justice. Justices Presbitero Velasco, Jr., Mariano del Castillo and Estela Perlas-Bernabe technically abstained from the voting. Their dissenting opinions does not conclude or suggest the fact of whether Sereno complied with her SALNs or not. In their dissenting opinions had a lack thereof a conclusion on whether Sereno failed to comply with the SALN requirements or not. They therefore merely abstained from judging Sereno guilty or not in the matter of complying with the SALN law. 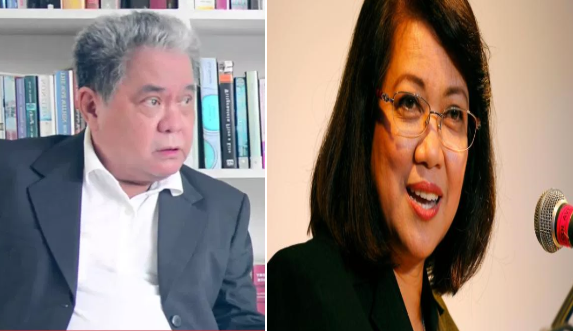 Velasco claimed that the Judicial and Bar Council (JBC), a body that recommends candidates for the judicial post to the President, which had Sereno nominated in the first place must first nullify their nomination before the Supreme Court makes a decision. But Tiglao questions if the JBC has the power to withdraw such nominations. Why should Sereno’s case go through a lower body after years of change of their original nominee? When it would’ve been less complicated to have Sereno’s fellow justices decide whether or not she’s worth of being their leader. Now on Castillo’s mindset was close to Carpio’s being that the Congress, through impeachment, be the ones to oust the Chief justice. Yet unlike Velasco’s she understands that it wasn’t a matter of integrity but rather of honesty and consistency. “I make no claim that respondent is or is not a person of integrity. In fact, if there is one thing that is glaringly apparent from these proceedings, it is actually the lack of respondent’s candor and forthrightness in the submission of her SALNs,” she added. Leonen made a remark on a press statement that devalues the SALNs. Stating that it was just SALNs where just pieces of paper that does not reflect the lack thereof integrity but rather the understanding of the rule of law. Tiglao’s sources suggest that Leonen was on the same boat as Sereno, as he too had no initiative to file his SALNs when he was working at UP. “Why as a nation do we have to go through such a tedious, time-consuming process, when the bottomline here really is that after six years, Aquino’s very unqualified and quarrelsome appointee to the Supreme Court must be booted out?” Tiglao asks. The Constitution meaning is basically at the final interpreter’s mercy, which in the Philippines is the Supreme Court. But if members are of different understandings and interpretations of the Constitution then the Court will have to go with the ruling of the Majority.